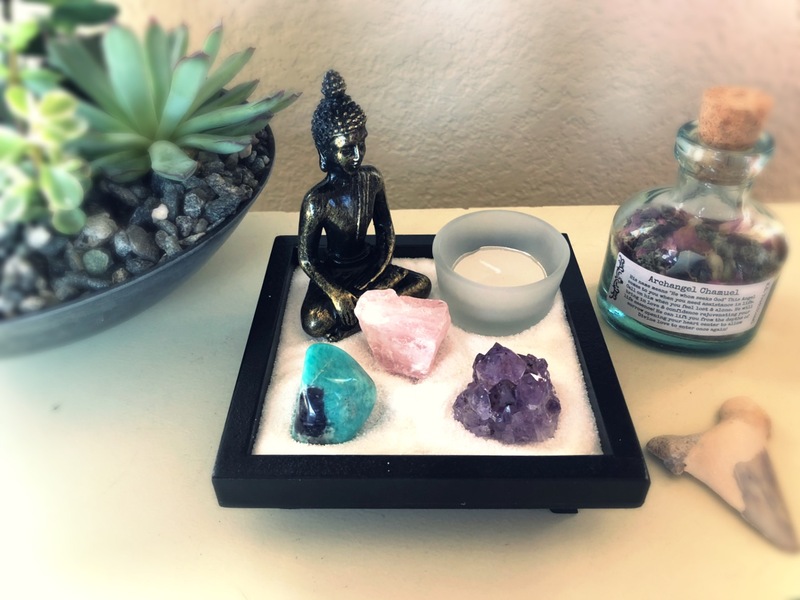 Create sacred space with a small desktop Zen Garden. Each garden includes an amethyst cluster, a raw rose quartz, a vibrant tumbled amazonite. Also includes white sand, Buddha figurine and tea candle holder. The wood tray measures 6x6. Ships free.